Everyone wants to live in a well-maintained Condo Association – the kind where things are well-kept, orderly, and picturesque. There is no denying that money plays a part in this process. You need to ensure your Condo is properly funding things like maintenance, landscaping, and more. However, there is a secret that many Condo Associations don’t know. The secret to a well-maintained Condo Association is Owners that report issues quickly. It’s that simple. An active and engaged set of Owners can ensure that an Association is well-maintained. 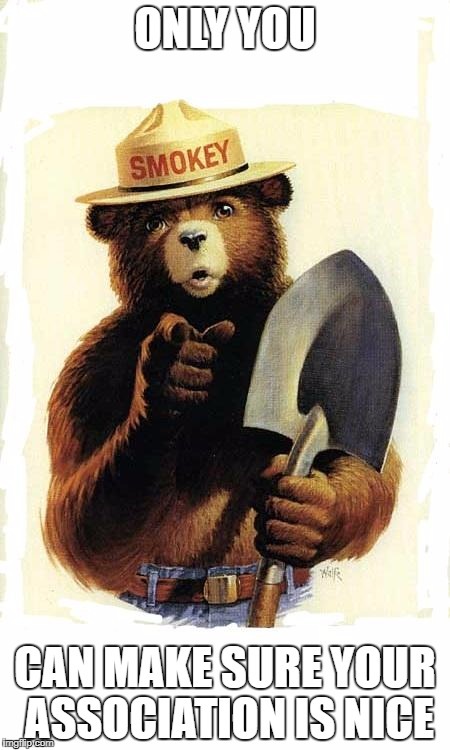 Smokey needs you to step up. Many people assume that someone else will report a problem. If you see something wrong in your community, YOU need to make sure you report it. Your maintenance staff can only fix that which they know is broken. While you might have a staff that does “walk-throughs,” there are only a few of them – and a whole lot of Owners. Certain issues that might occur within a unit but are a result of building systems – a water pressure problem, for example – can only be reported by an Owner. First and foremost, make sure that your community has an easy way to report issues to Management. Email is usually the easiest (and most documentable) way, but some communities also have automated reporting systems. If you don’t have a good way to report things, start by creating a mechanism for Owners to easily report issues. Make sure that reporting issues is easy and the process is well-communicated. Make sure that Owners feel empowered to report issues. Management and the Board need to be vocal about letting Owners know that if they want a well-maintained Condo Association, they need to step up. Management should aim to give Owners positive feedback when they report valid issues. Board members should mention it at every meeting. 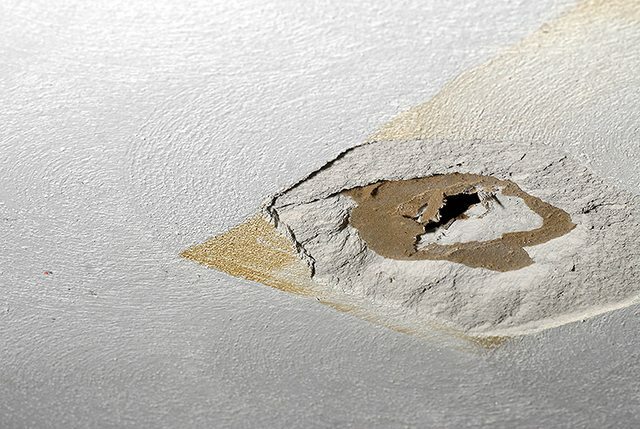 If you see a hole in the ceiling… report it! Maintenance items, such as non-functioning lights, broken glass, damaged railings or moldings, etc. If you notice, chances are other Owners – or prospective buyers – will too. Make sure you flag it for repair. Changes to water pressure or water temperature (for buildings where the Association is responsible for the maintenance of water). This could be indicative of a recirculation or boiler problem. The sooner you report it, the sooner it can be diagnosed and repaired. Issues with building temperatures being too hot or too cold (for buildings where the Association has an HVAC system they control). This could be a sign of HVAC issues which can be diagnosed and repaired more quickly. Missing items, whether it is gym equipment, pool equipment, or other recreation equipment depending on your amenities. No one likes a basketball court without a basketball. Violation of Rules. No one likes being the snitch, but rules violations are a big deal, particularly pets off a leash. If the Owner with the big dog lets his dog run around off-leash all the time, and then that dog attacks someone (or another dog) – that’s potentially preventable if reported ahead of time so the Owner can be punished. There are many things that go into a great Association. There are many things that a Board must ensure they are providing to Owners. But if you want to make sure that you do all the “little things” – the Board and Management can’t do it alone. A truly well-maintained Condo Association involves all of the Owners stepping up to make sure they are involved in identifying problems before they become big issues. With everyone working together, you will lead a better Condo life.